The European Union (EU) is seeking proposals for (i) projects aimed at enhancing the contribution of Civil Society to governance and development in Barbados and the Eastern Caribbean states (OECS), and (ii) projects designed to support small-scale and innovative actions in the field of Human Rights and Democracy. 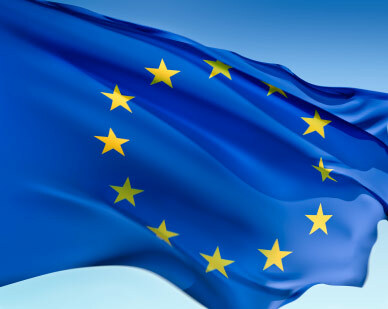 The European Union (EU) is seeking proposals for projects aimed at enhancing the contribution of Civil Society to governance and development in Barbados and the Eastern Caribbean states (OECS). The overall objective is to support Civil Society Organisations (CSO) contribution and participation to national development and policy making. Meanwhile, the specific objective will be to enhance CSOs contribution as actors of governance and accountability, as partners in promoting social development, and as stakeholders in promoting inclusive, equitable and sustainable growth. An area of engagement will be supporting Civil Society Organisations in their efforts to challenge discriminatory social norms and stereotypes. The deadline for proposals is 6 October 2017. The guidelines for applicants are available at https://webgate.ec.europa.eu/europeaid/online-services/index.cfm?do=publi.welcome using reference number 156696. Since 2005 the EU has established Non-State Actors (NSA) Advisory panels in Barbados and Eastern Caribbean states. The objective of these panels is to improve NSA’s participation in national development as it relates to the programming of EU grant aid. The EU has signed Memoranda of Understanding with the countries, setting out the role and function of the NSA panels. The European Union (EU) is seeking proposals for projects designed to support small-scale and innovative actions in the field of Human Rights and Democracy. The aim of the intervention is to promote and support democracy and human rights within the context of the EU’s policy of development co-operation. The European Instrument of Democracy and Human Rights (EIDHR) is designed to help Civil Society become an effective force for political reform and defence of human rights. The scope of the present EIDHR action aims at strengthening Civil Society Organisations in promoting human rights. The overall objective is to contribute to the respect for fundamental human rights and freedoms in Barbados and the Eastern Caribbean States by promoting an environment free from discrimination and abuse. The deadline for proposals is 6 October 2017. The Guidelines for Applicants are available at https://webgate.ec.europa.eu/europeaid/online-services/index.cfm?do=publi.welcome using reference number 156697.